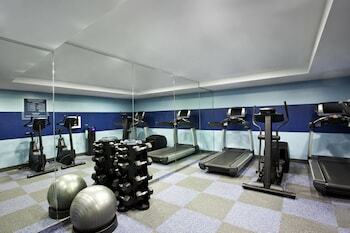 You may still be able to book by calling the hotel at 212-627-1888. 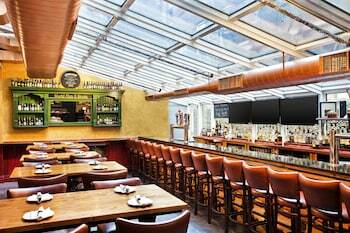 Chelsea epitomizes the wonderful diversity New York City is known for. This vibrant neighborhood is historical yet modern, trendy yet classic, all at the same time. 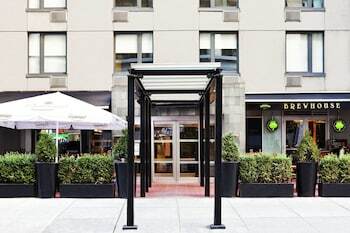 In the heart of Chelsea sits the Four Points by Sheraton Manhattan Chelsea, providing affordable accommodations in an otherwise astronomically expensive city. Because of its location, guests are actually afforded a quiet stay, which is hard to come by in the "city that never sleeps." Rooms are uncomplicated and unfussy, but still offer amenities like ergonomic chairs, free high-speed Internet access and comfortable beds. 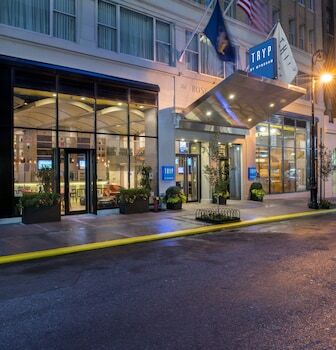 You'll be thanking your lucky stars that the hotel is close enough to all of the city's most famous attractions, but far enough so that you don't have to fight the throngs of other tourists; it's the best of both worlds at the Four Points by Sheraton Manhattan Chelsea. 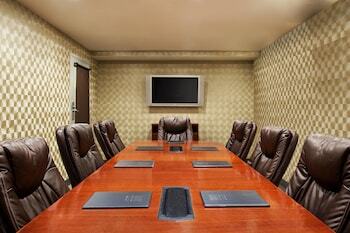 Four Points by Sheraton Manhattan - Chelsea is a 3-star hotel located at 160 W 25th St, New York, NY 10001, US . Its nightly price usually falls between $99 per night and $1199 per night, excluding tax, depending on room category. 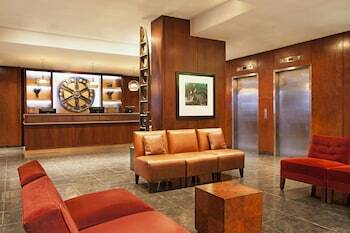 At Four Points by Sheraton Manhattan - Chelsea, AAA members often get 7-13% off the regular rate. For example, on December 24, 2018, a AAA rate of $98 per night was offered - a 1% discount from the next-lowest rate. Depending on your itinerary, your savings can be more than the annual AAA membership fee itself! Many Room 77 users are able to pay for their entire AAA membership in a single stay. 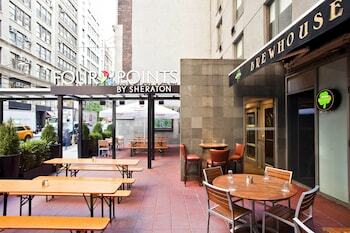 At Four Points by Sheraton Manhattan - Chelsea, seniors often get 6.1-10% off the regular rate. For example, on December 24, 2018, a senior rate of $93 per night was offered - a 6.1% discount from the next-lowest rate. $99 per night found for a Room, 2 Double Beds - Advance Purchase room type. For December 24, 2018, a special AAA rate of $98 per night was found for the AAA Rate, AAA Membership Card Required, Guest - Room, 2 Double room type. For December 24, 2018, a special Senior rate of $93 per night was found for the Marriott Senior Discount, 62 Years and Older - Valid ID Required, Guest Room, 2 Double room type. Four Points by Sheraton Manhattan - Chelsea sells rooms through sites like Room 77, Expedia, Hotels.com, GetARoom, and many others. Room 77 searches across dozens of different sites to find the lowest discount rates available. The lowest rate we've seen over the last few weeks was found on Room 77. In 1% of the cases we surveyed, all sites offered the same rate. You can compare real-time rates from all of these sites on Room 77. Room 77 is the only hotel shopping site that includes special discounts like AAA, senior, government, military, and corporate rates.